Invite your guests into a reception that is uniquely yours! 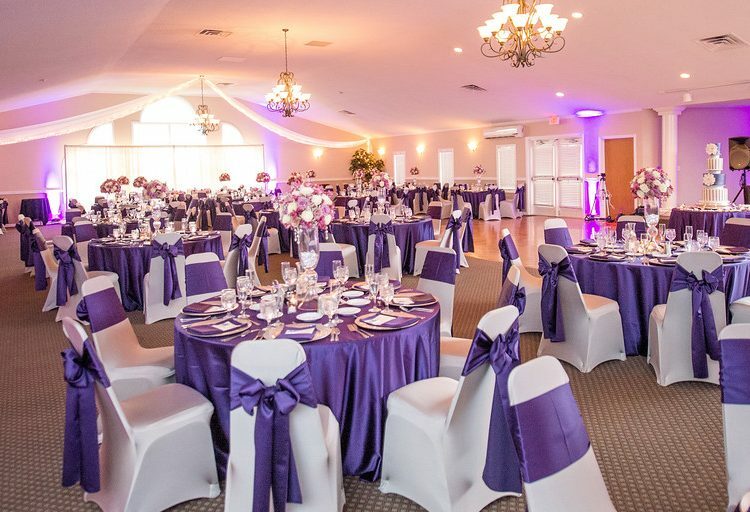 With attention to every last detail, your reception will dazzle with distinctive centerpieces, custom linens and artfully crafted cuisine that will stimulate all five senses. Now that you’ve said, “I Do,” the party is ready to start. Our built-in dance floor will have guests moving all night long. 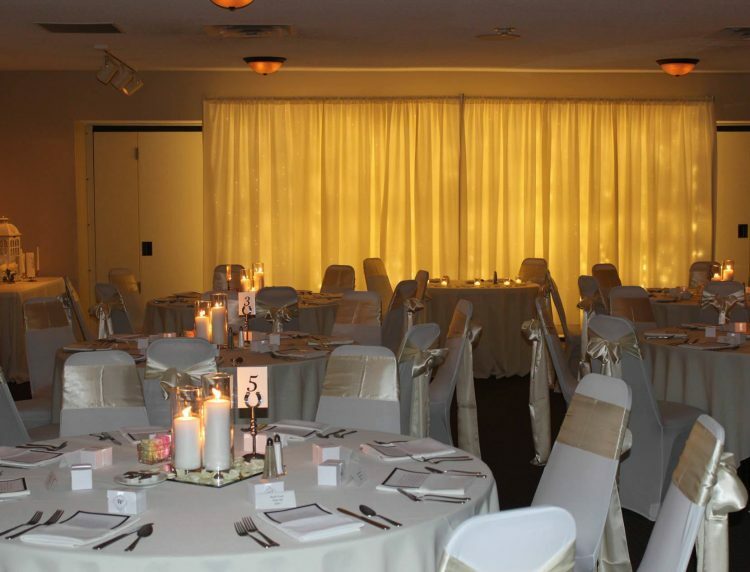 Whether you are looking for simplicity or extravagance, the Grand Ballroom is sure to exceed your expectations. Wanting an intimate reception? Imagine the fireplace is glowing while nestled in each other’s arms as sway to the music of your first dance. This can become a reality in the candle lit glow of our Arabian Room during your perfect reception! 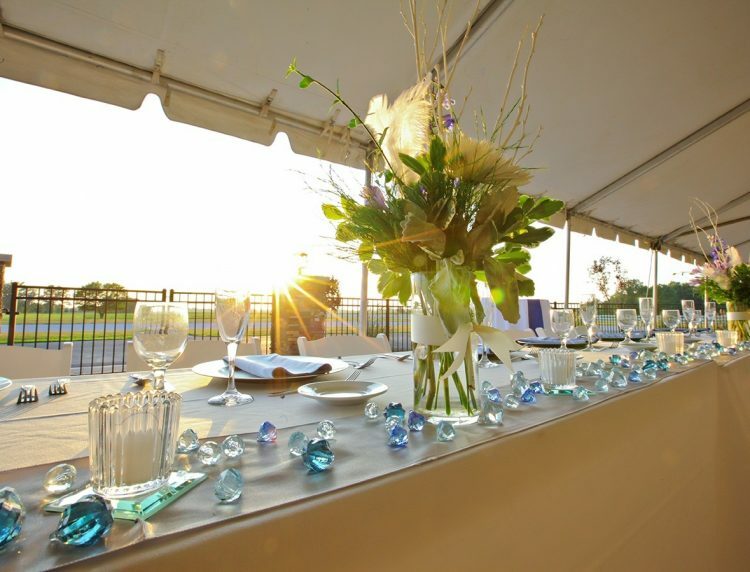 Have you always envisioned an outdoor reception? If the is “I Do”, then the Sunset Terrace is for you! Celebrate your love under the stars or dance the night away under the peaks of a while billowing tent.